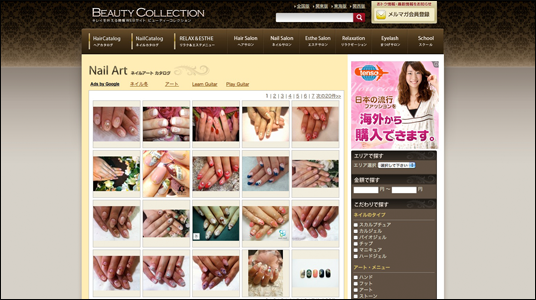 Are you looking for a beautiful nail art (manicure)? Manicures polish your appearance and can be a fun way to express yourself as well. 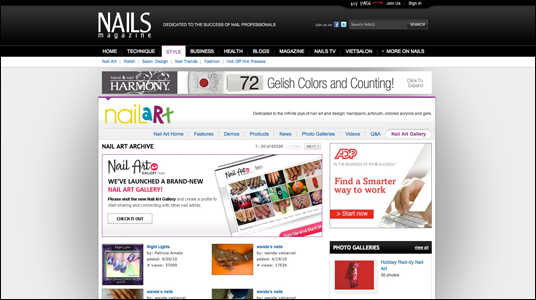 If you’re looking for something a little more fun than your average french manicure, take a look at some of these sites to see what else you can do with your nails. Are you on the hunt for your next watch? 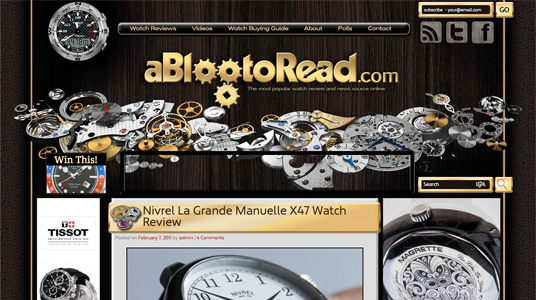 Go to: aBlogtoRead.com and you will find your ideal watch! It can be a real struggle finding a hairstyle that your going to be happy with. UK Hairdressers.com has hundreds of styles to choose from in there on line gallery. They also have lots of Tips to help you manage your hair everyday. Everything from frizzy hair to hair loss is covered. Another great way to find a hairstyle, that will put a smile on your face, is to try it out before you go in for your appointment. 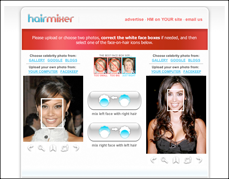 Hairmixer.com has a great, easy to use, free program to help you decide on your next style. Simply upload a photo of the hairstyle you want to try on and upload an image of your face. The program will mix the two images together so you can see your new hair style. Enjoy! Are you curious about celebrity hairstyles? Have you visited “TheHairStyler.com“? If you are fashion savvy and are looking for new trends in hairstyles, you can find great photo refreneces at TheHairStyler.com. Find the new styles of your favorite celebrities, which are listed from A to Z. It’s that easy! This program is amazing! If you had to do this work in photoshop it would take you hours. Now, you can upload your picture and try out the latest makeup trends. Try out everything from new hairstyles to glamorous smoky eyes. Find out what your favorite makeup trends are from the comfort of your own home before making your next makeup purchase. It’s easy to use and the best part is it’s free! You are currently browsing the archives for the Fashion & Cosmetics category.